Elizabeth Tower, Westminster Bridge, Iconic London. 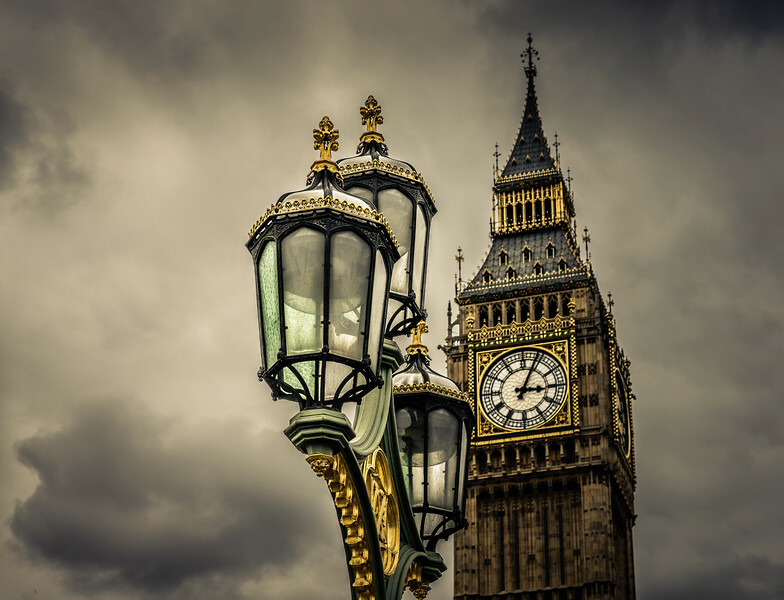 Big Ben is the nickname for the Great Bell of the clock at the north end of the Palace of Westminster and is often extended to refer to both the clock and the clock tower. Officially the tower is known as the Elizabeth Tower and it houses the 2nd largest four-faced chiming clock in the world, Minneapolis City Hall's is larger. The beautiful lanterns on Westminster Bridge are green, matching the colour of the bridge. I am truly fascinated by how clean the lamps are, considering they are out in the elements. But then, I shouldn't be, because I know they have an intense cleaning regime... a tradition.